View some of the pictures from our designated hen camp from the 2018 season. Set up on the outskirts of the New Forest, Hen Camp boasts 2 separate camp areas. The camp areas are for groups of 15 or 20 hens. 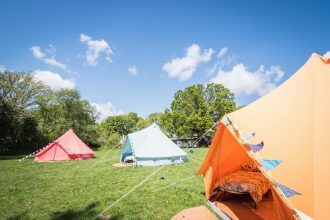 Both camps come with luxury 5m bell tents for glamping accommodation and chill out bell tent lounges. We’ve provided fire pit areas, with seating and camp beds with memory foam toppers. Chill out bells come with tea light chandeliers, fridges, and lots of cushions for relaxing! 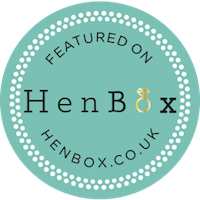 You’ll find all the information and pricing on the hen camp page.